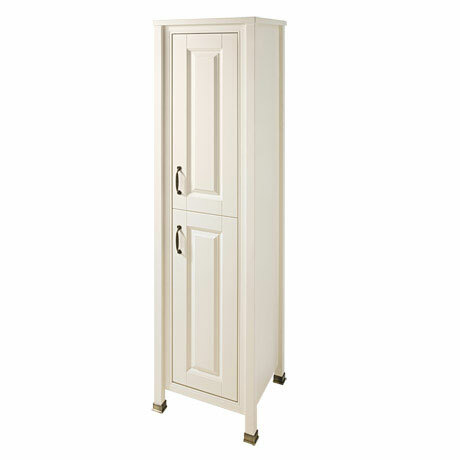 The stunning Alverton traditional 450mm wide Ivory coloured traditional 2 door tall unit providing excellent storage space. Manufactured to the high standards, the inspired Alverton Ivory range of luxury furniture with it's clean classical design blends beautifully with any traditional bathroom. We love our new cabinet. Does exactly what it says on the tin.